Published by ART Servizi Editoriali, Travel Europe: Rome is an app that works with both the iPhone and the iPad. It’s intended to serve as a comprehensive yet accessible guide to travelers who plan to visit Rome. It was released at the end of March in eBook form and it costs $2.99. Travel Europe: Rome seeks to showcase the best locations in Rome in a 90 pages eBook full of enticing photos and useful maps that help you find your way around the famous city. It’s particularly useful because it lists many hotels, restaurants, shops, museums, art galleries, and monuments. A handful of tours and details about open-air activities are also included. Besides English, Travel Europe: Rome is also available in Italian. While browsing through Travel Europe: Rome one gets the impression that the Holy City is shamelessly extolled. Truth be told, this enthusiastic praise is for the most part well-founded. After all, Rome is a modern metropolis that has retained many remnants of its fabulous past, of which obviously it is very proud. Eulogies aside, Rome is a large city where it’s easy to get lost. Travel Europe: Rome tries to make first-time travelers’ life easier. The 5 included tours are quite edifying, as they portray the Italian capital in different lights. Travel Europe: Rome is meant to be accessed on the go. All the hotel and restaurant lists, maps, and practical tips it contains can be accessed quickly via embedded links. Besides these “practical” resources it also provides extensive information on the history and culture of the Italian capital. For example, architectural styles are covered, as well as artists and film made (it seems that more than 3,000 movies have been filmed in Rome to this day). Travel Europe: Rome, being comprehensive yet accessible at the same time, seems to be a useful resource whether you plan to stay for some time in the city or are merely just in passing. Both high-end and low-end locations are covered, the guide offering a general view of the city rather than targeting a specific group of users. This eBook for the iPhone includes a detailed map of the city, a transport map featuring all the bus and tram routes, and a brief conversation manual. While the web can be itself the perfect travel guide, eBooks like Travel Europe: Rome optimized for the iPhone have an advantage: they are compact and can help you find the information you need in no time. Moreover, in this case the book has been compiled by Italians, so there cannot be any major inaccuracies or much outdated information. Overall, Travel Europe: Rome is a comprehensive guide to the Italian city that can be useful to any traveler bound to Rome. It’s light, accessibly, yet detailed. It’s well worth the $2.99. 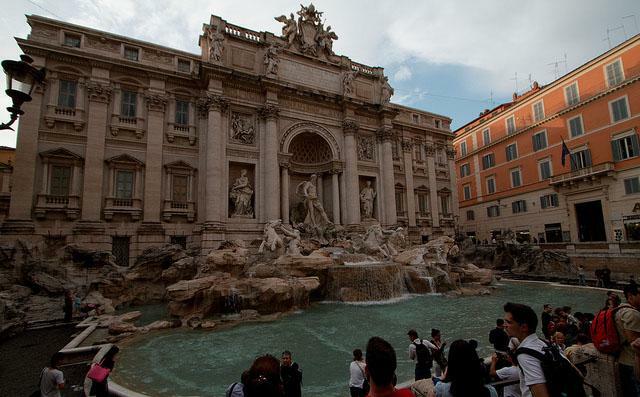 The “Travel Europe: Rome – Your Tour Guide on iPhone” is a guest article and has been written by Calvin Scott. Calvin is passionate about technology and often writes reviews about latest gadgets.